22227 results. Displaying results 21 - 40. A sherd of Roman waster pottery from a kiln at Headington. 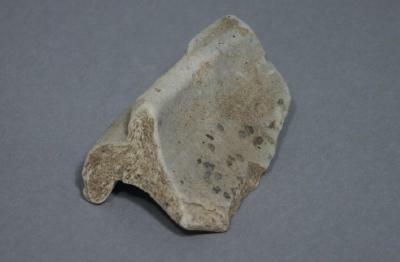 It is a piece from the rim of a mortarium. 'Wasters' are the sherds of discarded pots that have not fired properly in the kiln. 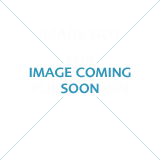 Kilns are often associated with 'waster pits' which are full of this material. Souvenir badge/pin from the Montreal Olympic Games, 1976. Paper playing card. 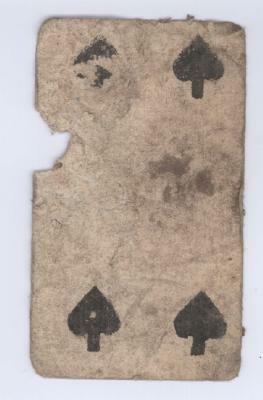 Four of spades printed on linen paper, possibly made in the late 18th, early 19th century. 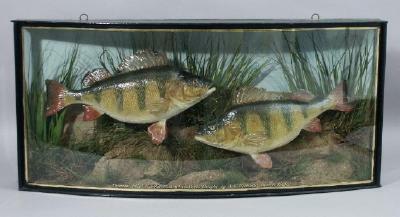 Recovered during the restoration of the Chantry House in Henley, 2003-2004. These finds were recovered from between the second floor floorboards and the first floor ceiling at the south end of the building, by sieving the debris taken out of this void. TRCA Regatta 1908 medal won by Joseph Corio of the High Bridge Rowing Club, as stroke in the Junior Fours. Possibly brass, with as of yet unidentifable hallmarks. 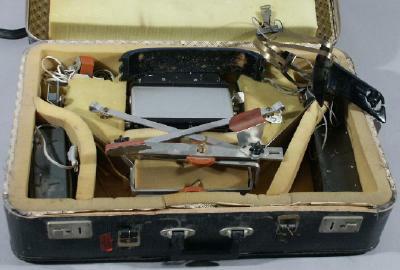 Inside a green leather box. 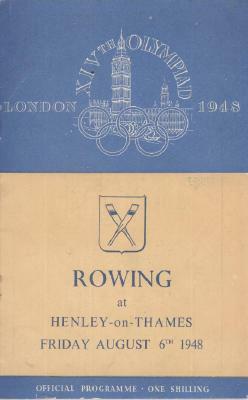 Official programme for rowing at Henley on Friday 6th August 1948, for the 14th Olympic Games in London. 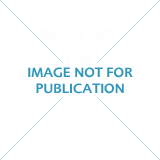 AIM - October 1999 The bi-monthly bulletin of the Association of Independent Museums. In this issue: Children missing out on unique museum experiences HLF Access Fund cash there for the taking Living with the Millennium attractions Finding the right trustees Rising to the challenge of Study Support Are you adequately insured? 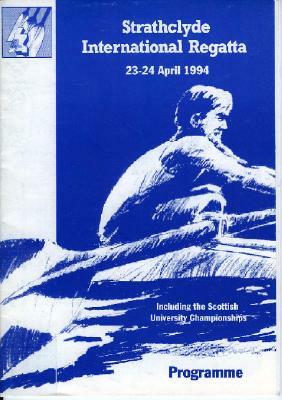 Speed box used to measure the speed (in metres and seconds) of a boat whilst rowing. Made by TPG in Dresden.